and fine art. 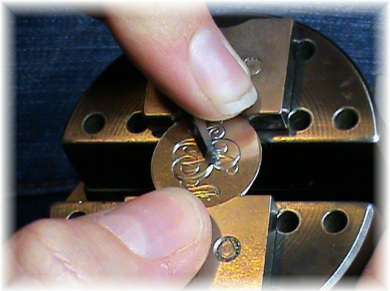 Bower Clock Company is also a complete service and repair center for clocks of all types. rich abundance of artistic talent. Nathan has been designing, creating, and repairing clocks for most of his life. He is dedicated to the art and science of horology and its many traditions. Nathan has won national awards for his work, including NAWCC "People's Choice "award. Jennifer has taken her love of calligraphy and ornamentation with her into the fascinating art of hand engraving. By cutting each piece completely freehand, she is able to create personalized jewelry that cannot be produced any other way.